Kolkata, Dec 3: Calling for the unity of secular forces to take on the BJP, Samajwadi Party chief Akhilesh Yadav on Saturday said his party was prepared to make sacrifices and back other parties like the Trinamool Congress to strengthen the fight for secularism. "We are ready to struggle for the unity of secular forces in the country. .. If we are required to stand with Didi (Mamata Banerjee) for a secular battle. we will do so. It does not matter if our party does not grow here (West Bengal)," he said while addressing the eighth state conference of the Sanajwadi Party at the Mahajati Sadan here. He averred that India needed leaders who would spearhead the fight for secularism, but did not give a categoric reply when asked by reporters later on whether the Samajwadi Party would form a joint front with the Trinamool. 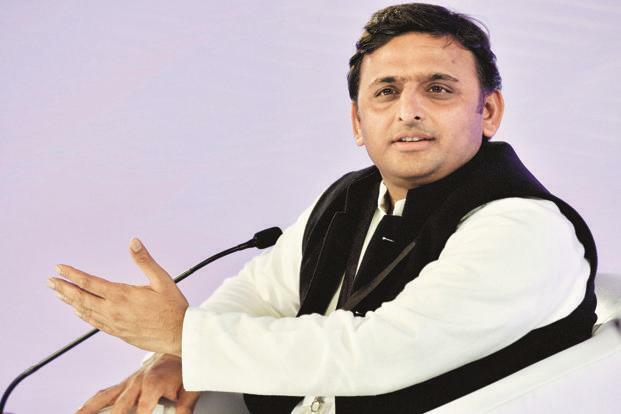 Akhilesh Yadav prophesied that the Samajwadi Party would "stop the BJP in UP" and play a major part in the fight against it in the 2019 Lok Sabha polls. Accusing the BJP of "telling lies to the people" on issues like demonetisation, Goods and Services Tax, digital India and Make in India, he said: "They are experts in telling such lies. They say them in such a way that people have started believing them." "What has the Narendra Modi government in Delhi done for the poor farmers who continue to suffer? What has the government done for the workers? Instead, this govenrment has come up with demonetisation of the currency and GST, which have robbed people of their jobs." He brushed aside questions about differences between him and his father Mulayam Singh Yadav, saying "his (Mulayam's) blessings are always with us. A father is akin to god".